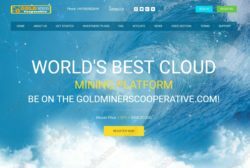 Golden Miners Cooperative claims to be a cloud mining platform for cryptocurrencies. You can deposit money, rent some mining power and reap the rewards. At least that’s the theory. 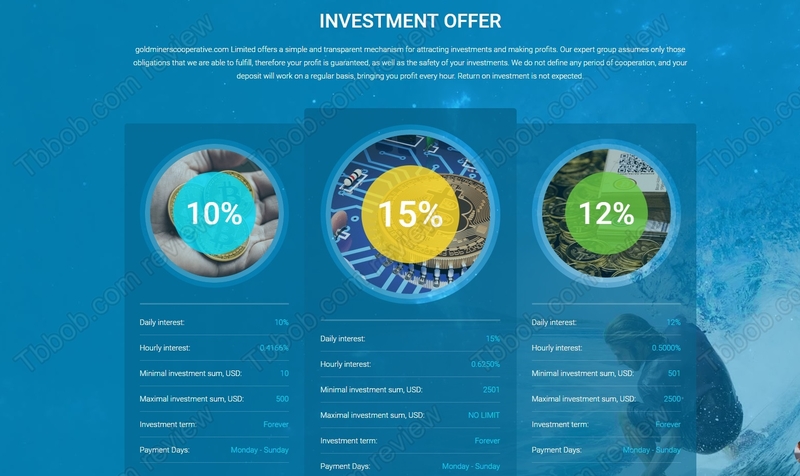 Currently Golden Miners Cooperative is offering three different investment programs with daily returns from 10 to 15 percent. Are they real? 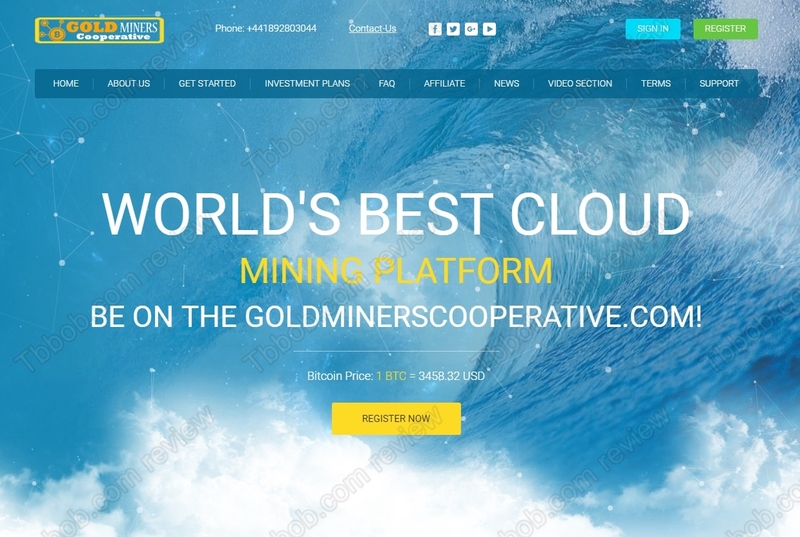 No, Golden Miners Cooperative is not a real cryptocurrency mining program. We can say that for sure, because we know for sure that it is impossible to make 10 percent or even more per day mining. Because of low crypto prices and high electricity costs crypto mining is not profitable nowadays, mining companies are shutting down, you can google it. So, any company offering you this kind of returns from crypto mining, or any other activity for that matter, is a scam. Simply because no legit business can make you 450% per month on a regular basis, it’s just impossible. 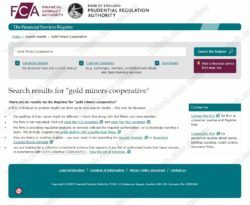 Golden Miners Cooperative is supposed to be a company registered in the UK, but it is not. There is no company of this name registered with the Companies House. 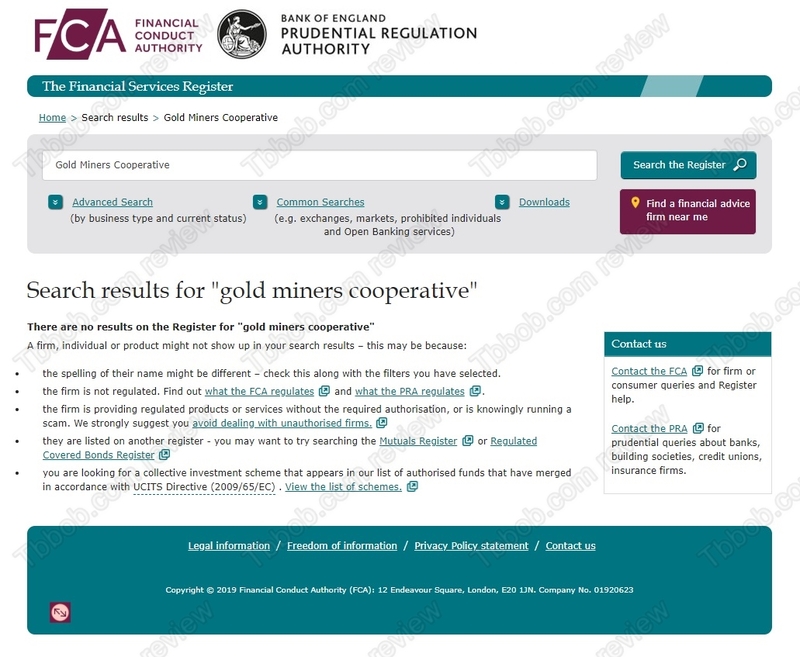 There is no company of this name registered with the Financial Conduct Authority either, which means that Golden Miners Cooperative is an illegal investment program. Golden Miners Cooperative obviously is a Ponzi scheme. It might use some of the deposits to pay out some profit withdrawals, but it is doomed to fail, because no real business activity is going on. Golden Miners Cooperative is a scam, a Ponzi scheme that is going to fail. Stay away from it! Crypto mining is not profitable, but you can try crypto trading instead. There is a free demo you can try if you are interested. If you later decide to trade with real money, please realize that in trading you can make, but also lose money, so be careful.